IEBC and OT MORPHO avail the October repeat poll result to public scrutiny. -Chebukati. - Bana Kenya News, Real African Network Tubanane. Home featured News IEBC and OT MORPHO avail the October repeat poll result to public scrutiny. -Chebukati. IEBC and OT MORPHO avail the October repeat poll result to public scrutiny. -Chebukati. 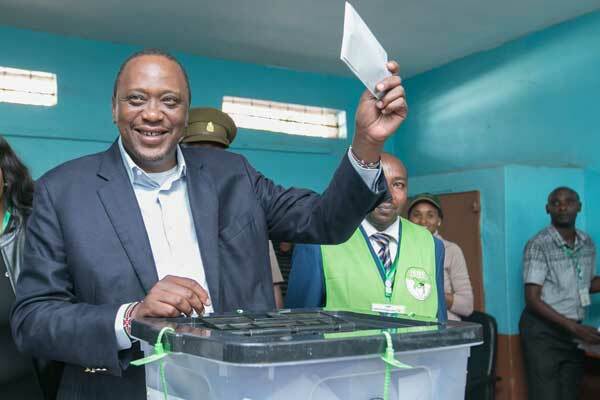 The Independent Electoral and Boundaries Commission has confirmed the results of the repeat presidential poll as authentic and gave out evidence. The Commission has given out the KIEMS kits data that was availed to them by the OT Morpho, a French company that supplied the electronic gadgets. The IEBC Chairman Wafula Chebukati has availed the data to the public for scrutiny saying the commission did not have anything to hide and the elections were free, credible, verifiable and fair. “Please also note that the voters identified manually (without using the Kiems kits) or the voters non validated by the operators during the identification process are not counted as identified voters,” Mr. Olivier Charlanes, the French firm’s vice-president in charge of Africa said in the letter to the IEBC dated October 30. The IEBC gave out the data to the public after the August general elections were nullified by the supreme court following such discrepancies from the public and the Opposition.